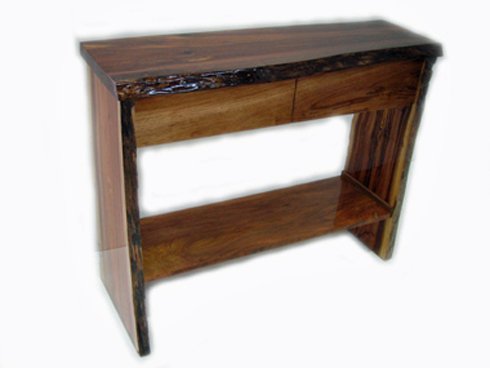 This hall table was made with timber supplied by the customer. They came to us with some blackwood timber from a tree on a family property and wanted a hall table. With two drawers, this hall table is a very practical piece. It has been finished with full gloss 2 pack lacquer.